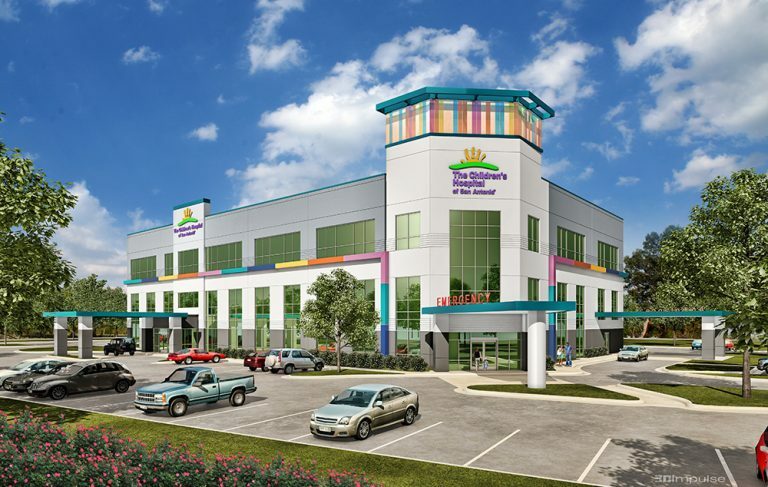 PHILADELPHIA, PA, April 3, 2019 – HFF announces it has closed the sale of The Children’s Hospital of San Antonio Health Pavilion, a brand new, 100-percent-leased, 57,250-square-foot, state-of-the-art and purpose-built medical office building located in the prestigious Stone Oak submarket of San Antonio, Texas. HFF marketed the asset on behalf of the seller, Seavest Healthcare Properties, LLC, and procured the buyer, Harrison Street. The Children’s Hospital of San Antonio Health Pavilion is located at 1434 East Sonterra Boulevard adjacent to the 242-bed Methodist Stone Oak Hospital and near the 362-bed North Central Baptist Hospital. The medical office building has visibility from U.S. Highway 281, which boasts traffic counts of more than 100,000 vehicles per day, and is in the Stone Oak submarket of San Antonio, an affluent area that is anticipated to see five-year population growth of 9.2 percent, nearly three times the national average. 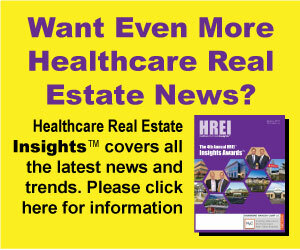 The property is anchored by CHRISTUS Santa Rosa Health System, a wholly-owned sub-network of CHRISTUS Health (Moody’s A1), which occupies 83 percent of the square footage. A pediatrics-focused outpatient facility, the property opened in 2018 and houses a Tier 1 freestanding children’s emergency center and urgent care, the first of its kind in northern San Antonio. The property also features a variety of complementary pediatrics focused services, including primary care, imaging, lab, outpatient treatment facilities and KidSTOP. The HFF investment advisory team representing the seller included managing directors Evan Kovac and Ben Appel, director Andrew Milne, associate Matt DiCesare and analyst Maria Poyer of HFF’s national medical office capital markets team, along with the local team led by managing director John Taylor. John Chun, a member of HFF’s medical office capital markets team, provided debt and structured finance expertise. Harrison Street is one of the leading real estate investment management firms exclusively focused on the Education, Healthcare and Storage sectors. The firm has created a series of differentiated investment strategies across multiple risk/return platforms. Headquartered in Chicago, the firm employs a 140-person team with approximately $18 billion in assets under management. For more information, please visit harrisonst.com. Seavest Healthcare Properties LLC is a real estate investment manager focused on the medical office and outpatient facility sector. The firm acquires existing properties, joint ventures with established developers to build new properties, and asset manages medical office buildings, outpatient facilities and similar healthcare real estate assets. A pioneer in this sector, Seavest made its first healthcare real estate investment in the mid-1980s. Today, the firm has a significant portfolio of medical office and outpatient properties located throughout the United States. For more information, please visit SeavestHCP.com.